St Andrew is the patron saint of Scotland, and the attractive seaside town of St Andrews on the east coast also bears his name. According to legend, the relics of St Andrew were brought here in the 8th century and a shrine was established, dedicated to the saint. The church of St Rule was built around 1130, and the tower, which still stands tall today, would have served as a beacon for pilgrims heading to worship at the shrine. (For the cost of a few pounds you can climb the tower – the views over the bay are magnificent!). 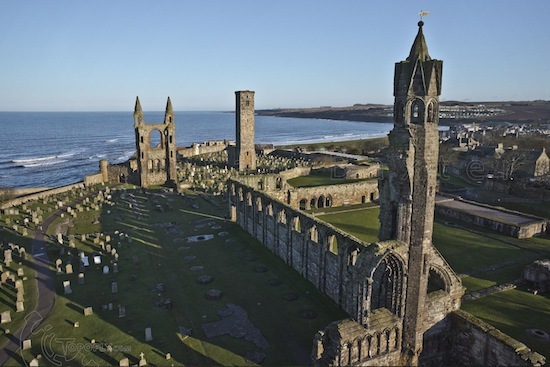 The growth in the number of pilgrims meant that a new, larger church was required, and work started on St Andrews Cathedral in 1160. This building work was to last over 150 years, as it was frequently interrupted by war, winter storms, and fire, before the cathedral was eventually consecrated in 1318. By then it was by far the largest church in Scotland and the ecclesiastical centre of the country. 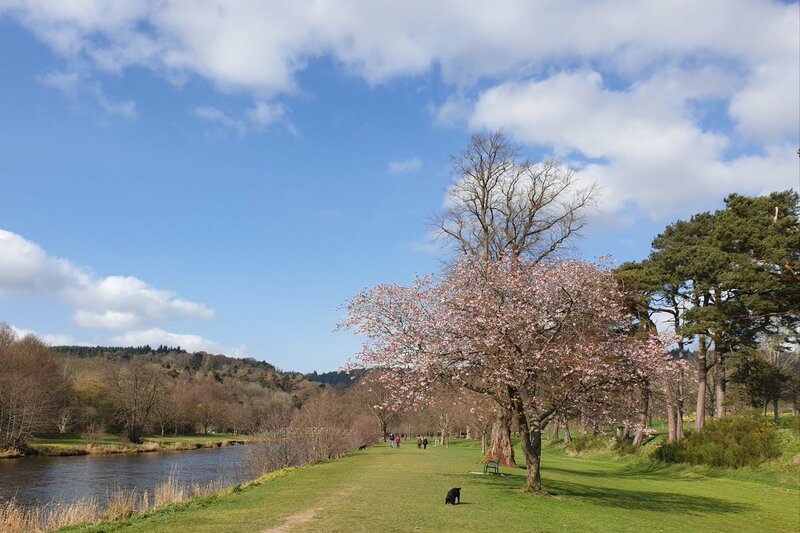 As one of only two places in the whole of Europe where you could worship at the relics of an apostle of Jesus Christ (the other being Santiago di Compostella in Spain), St Andrews became an important site of pilgrimage for thousands of medieval pilgrims. Abandoned after the Protestant Reformation of 1560, the church fell to ruins. Today these imposing ruins tower over the North Sea, a testament to what was once the most important religious site in Scotland.